We were very excited to leave the desert. Although we love the unique beauty and awesome array of animals at the desert chairs, it felt really good to leave the 94-degree heat that we suffer through every summer there. 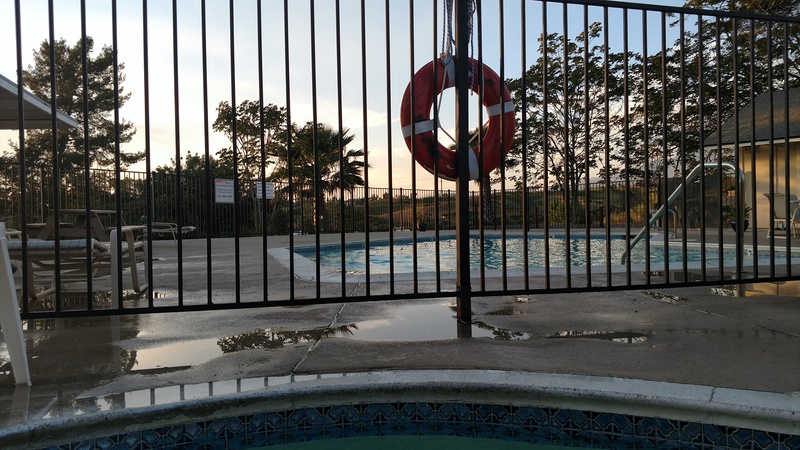 But good thing we have a pool and the kiddo loves to swim. Anyhow we enjoyed our stay at the last RV Park in Phoenix and escaped the desert on I-10 West. The drive west was relatively easy until we got through Indio because Coachella happened to be in full swing that day! This was our first time Towing our Honda CRV and needless to say we learned some lessons. 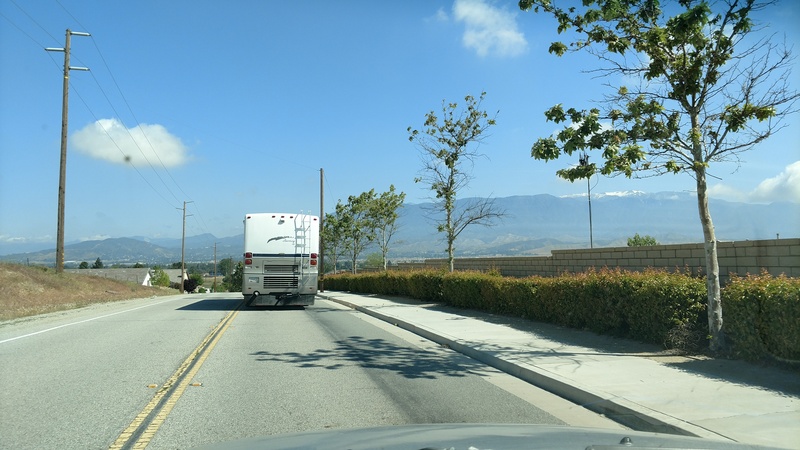 The RV needed to downshift going up hills and we did not know how to manually downshift comma and heard a loud clunk come from the diesel engine while we were going 60 down the freeway. The roads were absolutely terrible and extremely shaky between Indio and our destination in Beaumont. We almost overheated the engine and had a bit of a scare and had to pull over to rest…however we think it was just the weight of the tow vehicle and our inexperience in shifting and slowing down while going uphill. Anyhow all of our nerves were kind of fried after watching the vehicle that we’re driving in almost over heat but luckily we were only 20 miles outside of our destination of Beaumont California. It’s kind of funny how we ended up there, mostly because Coachella was going on and all of the RV parks were booked solid or ridiculous expensive like $90 per night just to stay in the desert??!? haha I do not think so. 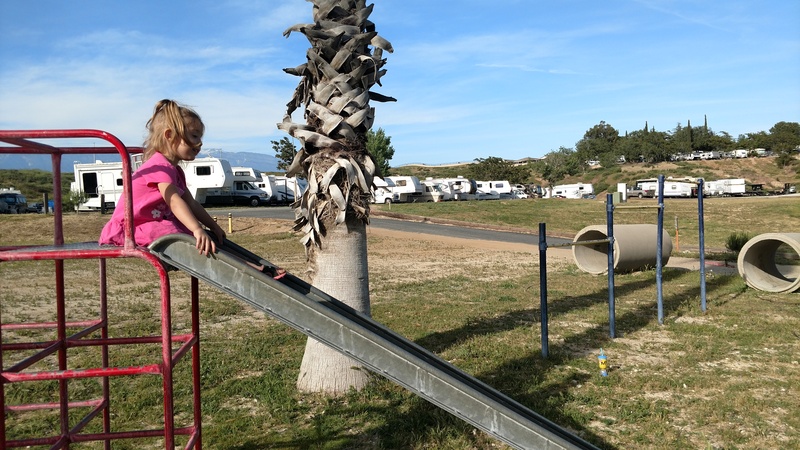 So we looked Westward about an hour and found Beaumont California, with a gorgeous little RV park called Country Hills RV Park. When we pulled in we had no idea that it would be a Hidden Gem, but that is needless to say what we found. Spot 71. 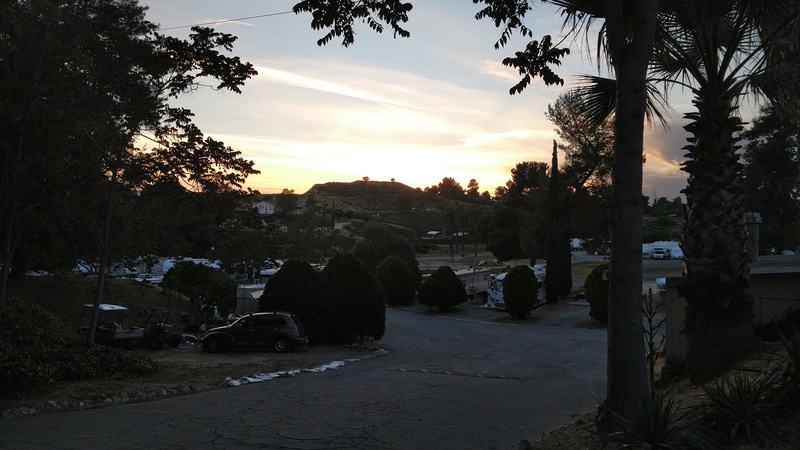 The park is hidden in the hills and there are RV spots all the way up and down the hill which not only minimizes sound but makes for amazing views. 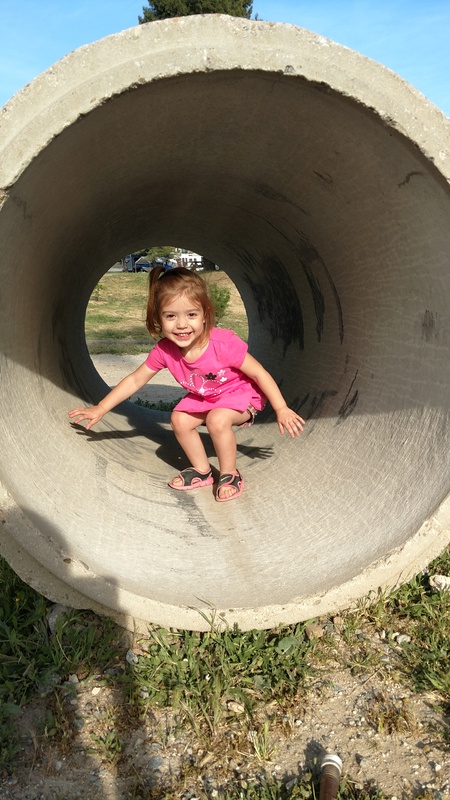 But…Anikka’s favorite find was the Retro slide and swing set along with horseshoes and tetherball. We liked it so much that we decided to extend our stay there another night. Especially after the scare in the RV, none of us were ready to leave the next morning. 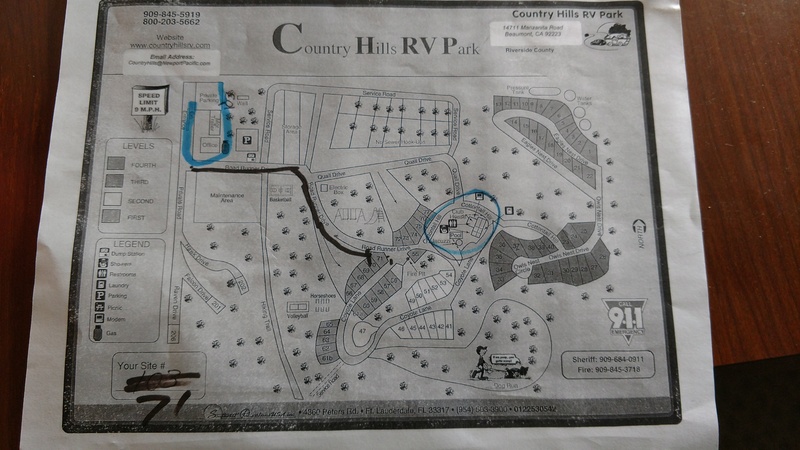 What we didn’t realise, is there is a lot of coordination going on because not only do I have to run my business but we also need to notify the RV parks ahead that our schedule has changed, and hope that they get everything right. Anyhow we had an amazing time at Beaumont, and even though it was very quiet, we found that many of the residents there were long-term residence and not passing through like we were. I would highly recommend this place for a short to mid-term stay, I could have definitely stayed there longer and possibly up to 2 weeks. The other great thing about Beaumont besides its beauty, is the fact that they have a small locally-owned fresh fruit stand which has been in business since 1954 so of course we had to go visit it. It was super amazing and definitely worth the stop. 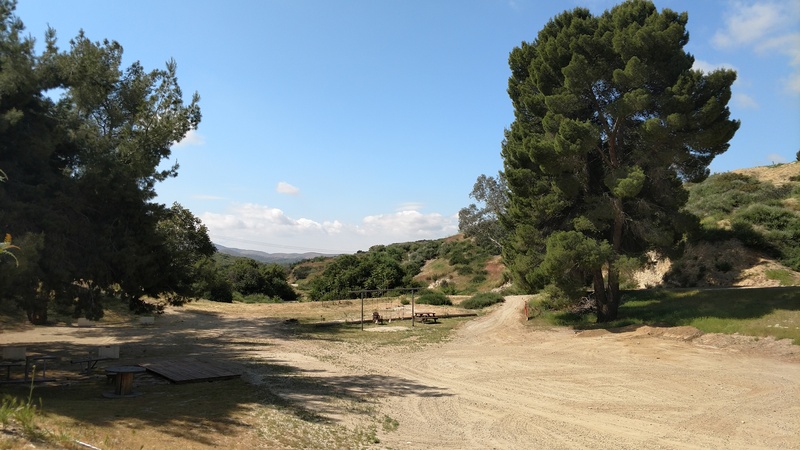 It was much larger than I expected and they had rows of olives and pickles and jams and Honey’s and all sorts of fresh fruit, lentils beans, snack mixes Trail mixes, and a variety of healthy foods and fresh-made salsas. It was a great find and made for a super dinner which was rice and fresh veggies. 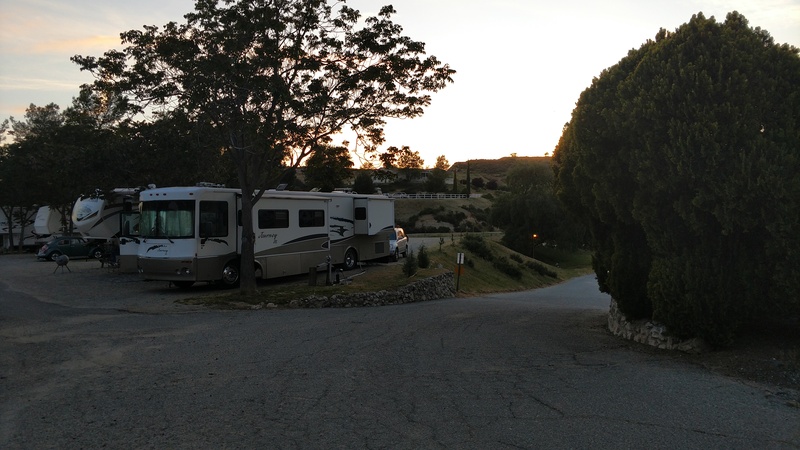 I’m really glad we got to stay at this RV park but definitely ready to move on and get closer to Yosemite. Here’s the rig all ready to go!! 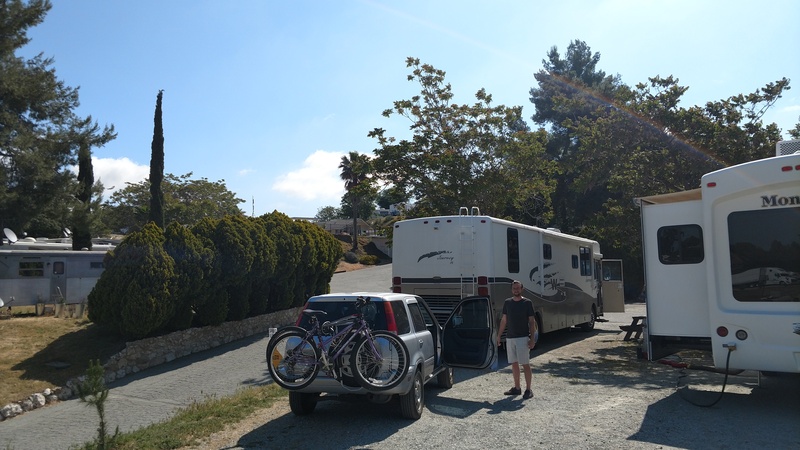 Next we will drive 3.5 hours to Bakersfield for a one-night quick stay at River Run RV Park.